We hired JSpec to replace the shingle on the front part of our roof. 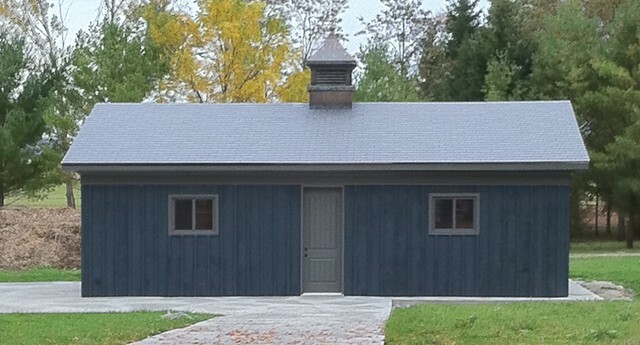 We have one of those 1920s Toronto semis with a flat roof at the back and a slanted roof at the front. We had hired JSpec to replace the back part a few years ago (they did a great job) and then we put off doing the front until it started leaking this winter. Justin replied quickly to my panicked midwinter email, and he and the crew were here to do the repair as soon as it got warm enough (before the hyacinths even sprouted). They did everything in a day and left my front yard tidier than it was before they got here. The roof looks great and Justin is a pleasure to work with. If I had any more roofs to repair, I would hire JSpec again! Jusin, Jason, and team showed up on time and were extremely professional., knowledgeable and efficient. 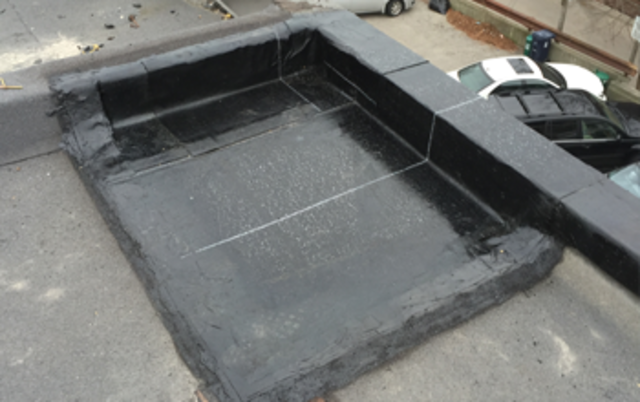 They did an awesome job for my roof top terrace.... it was so watertight that I regretted not putting a pool up there! I would use them again in a heartbeat. They know their stuff! These guys were awesome! I dealt with Justin from JSpec, he had a fast response time, sent detailed quote quickly and actually replaced my roof earlier than originally scheduled. They showed up on time, professional & polite crew, site was left tidy when job complete. They even replaced a faulty skylight for me at no extra charge. They provided excellent customer service and I’m confident that this will continue should I need them for anything in the future. Thanks Guys! Justin & his team were extremely responsive in performing a temporary repair following the May 2018 Toronto wind storm. The temporary work was done within 24 hours, and Justin helped shepherd me through the insurance claim process. He even connected directly with the adjuster to confirm some of the more technical details. 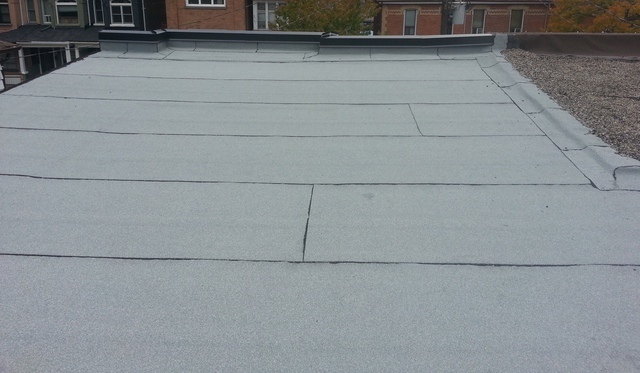 The full roof replacement came a few weeks later, after the insurance claim was settled, and went seamlessly. My expectations were well managed, and the job was well done in a timely fashion. A+ for service and quality. Replaced the shingles on our roof. Justin and his team exceeded all expectations. 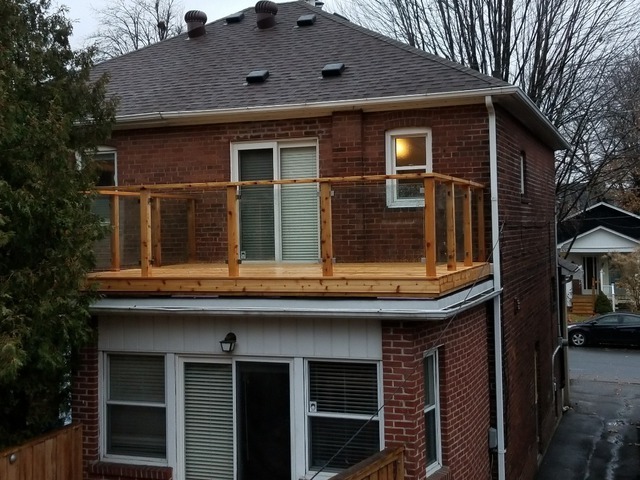 They showed up when the said they would, did the work promptly and professionally and we couldn't be happier with how the way our roof turned out. I would highly recommend them to anyone that likes working with a company that takes pride in their work and genuinely cares about their customers. From start to finish Justin, Jason, and the entire JSPEC team were a pleasure to deal with. They came highly recommended to us from some close friends of ours and we would definitely pass that recommendation along to anyone who needs any roofing work done. We did have to wait a while in order to get the work started as they are in high demand but it was well worth the wait. Or job was pretty extensive as we replaced and upgraded every part of our roofing but Justin was great in our initial meeting in explaining every aspect of the work that needed to be done and how they go about doing all the work with the best materials for each specific part of the roof. In the end we had everything on our flat and sloped roofs stripped down to the roof deck, re-insulated where necessary, and all put back together in about a week. 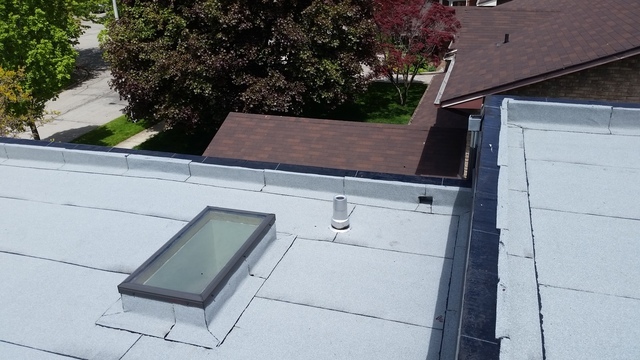 Additionally we had the majority of our gutters and flashing replaced to match the new black shingles, replaced an old skylight in our kitchen, and added a brand new skylight to our flat roof to let in some much needed light in our second floor hallway. Every aspect of the work was done perfectly and in the end everything was left nice and clean. JSPEC were extremely professional, punctual, and completely stress free to work with. When doing any kind of renovation you could not ask for any better. We've work with contractors and subs before and these guys are the best we've had the pleasure to have worked with. From the beginning, JSpec was a pleasure to work with. The quote was fast and reasonable, and Justin explained everything he was planning to do and confirmed every decision that would have an effect on the appearance or quality of the project. Even though we called in the middle of their busiest season, he responded quickly to all our questions and was upfront about his installation schedule (and on time when the installation date rolled around). Highly recommended — I won’t be calling anyone else when I need roofing work done in the future. thanks for the great review hope you enjoy your new deck. Justin is amazing. With Jason and the rest of his crew they re-did the flashing on my flat roof and replaced the metalwork where needed. The original roof was not their work unfortunately. 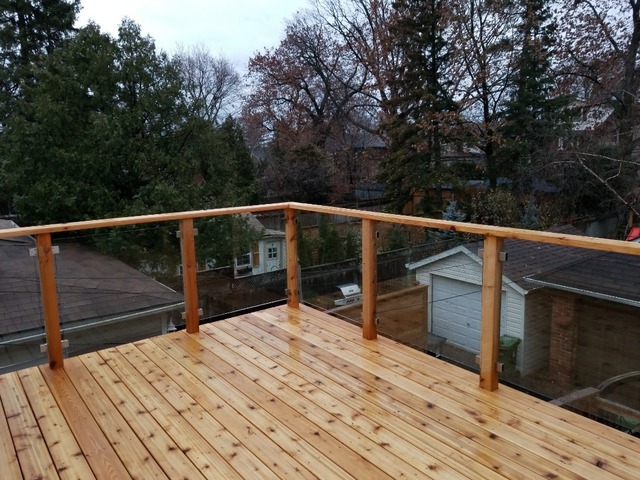 Like some of the other reviewers, I shopped around a bit before choosing Justin and J Spec for my roof repair and am very glad I did. It's obvious when you deal with him that he takes great pride in his work. I've also used him before on other projects. He's a man of his word and I would recommend his services to anybody. Replaced pitch and porch roof shingles. Justin and Jason (JSPEC Roofing) years ago did a repair on my flat roof in the middle of a winter storm, when nobody else would. It was a testament to how hard working they are, as well as their confidence in being able to do this kind of work no matter what the conditions were. They also came back to check up on me after the storm cleared. They did that because they care about their work, and have a big heart. I never forgot that, and when it came time to replace my flat roof the following spring, with four other quotes in hand, plus theirs, again they won me over. 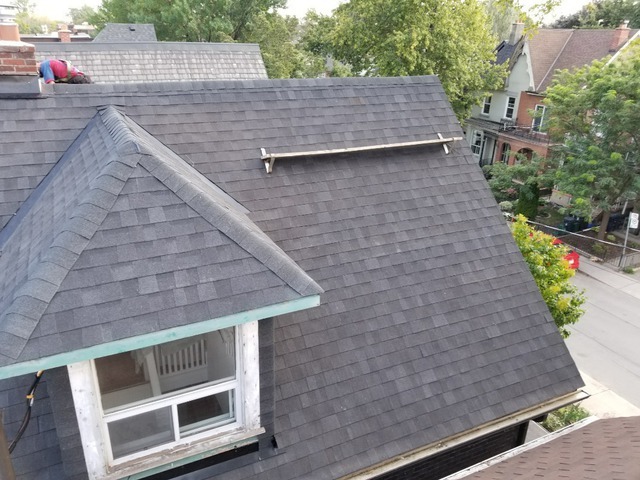 I had called all the top-rated roofers in the city, and not one of them actually took the time to go up on the roof to properly assess the job. They were the only ones who did that. When I had bought my semi I knew right from the start that I had about 5 layers of old roofing materials up there, so I knew it was going to be a bigger job. When I asked all 4 roofing companies what my quote was based on, they all said it's an estimate on what other flat roof replacements would cost based on my house size. I then inquired, "What if there's 2 layers of material on there?" And they would all reply, "Oh well that would be more money", and then would proceed to ask me, "Is there 2 layers up there?" and then I'd reply "Maybe.... What if there's more than 2 layers and some rotten boards?" And then of course, I learnt quite quickly that all 4 of those quotes I received were useless, because if I had said yes, and proceeded with the agreement for any one of them to do the work, I would have been told that the initial quote was no longer valid because once they finally got up on the roof, they would have seen that there was 5 layers, and some old fascia boards, and my estimate would have doubled. So I went with JSPEC Roofing, who took the time to do a thorough quote. 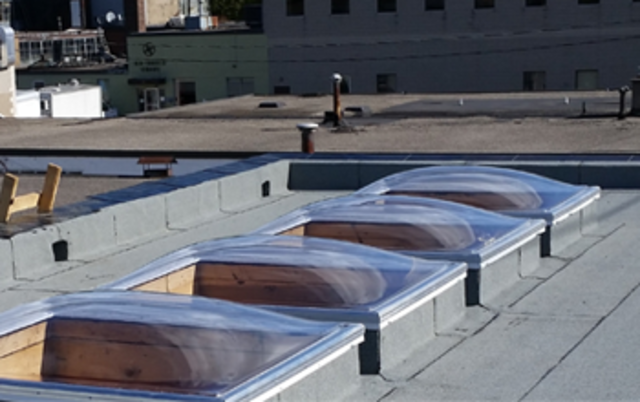 The flat roof work was done in a few days, and it looked amazing. They even got me up on the roof to review all the work with me, and I was very impressed. And so it would come as no surprise that when it came time to do the pitch and porch roof a few years later, I just didn't bother calling anyone for another quote, I just rung them straight away to schedule the work in. And again, with great care they did my pitch and porch roof. And it looks great. They tidy up so well, that you'd never know you'd just had a roofing job. JSPEC is my go to roofers now. When any of my friends or co-workers ask me for a roofer referral, I don't hesitate to pass on their contact info. Justin and his incredibly respectful team worked diligently to replace our leaking roof. The roof itself is very hard to access and steep. 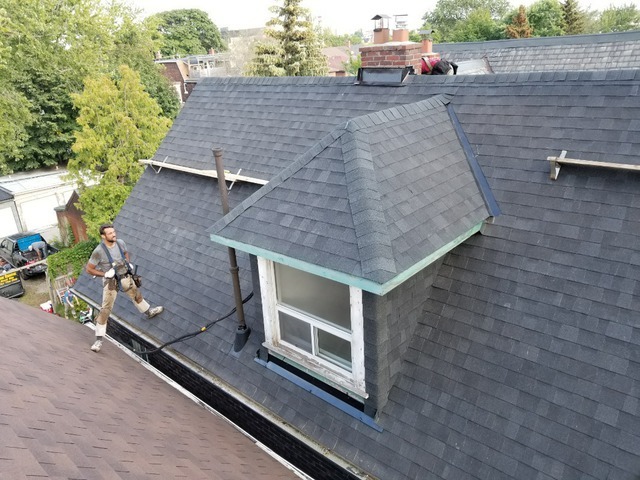 The job included tearing off 4 layers of shingles, in order to put on new shingles over a peaked and flat roof with varying degrees of height. A skylight replacement in a very treacherous area was also done with care. They were on the job early every day and made sure to clean up after themselves daily. We are incredibly lucky to have found roofers with this level of skill and kindness. We highly recommend this company.